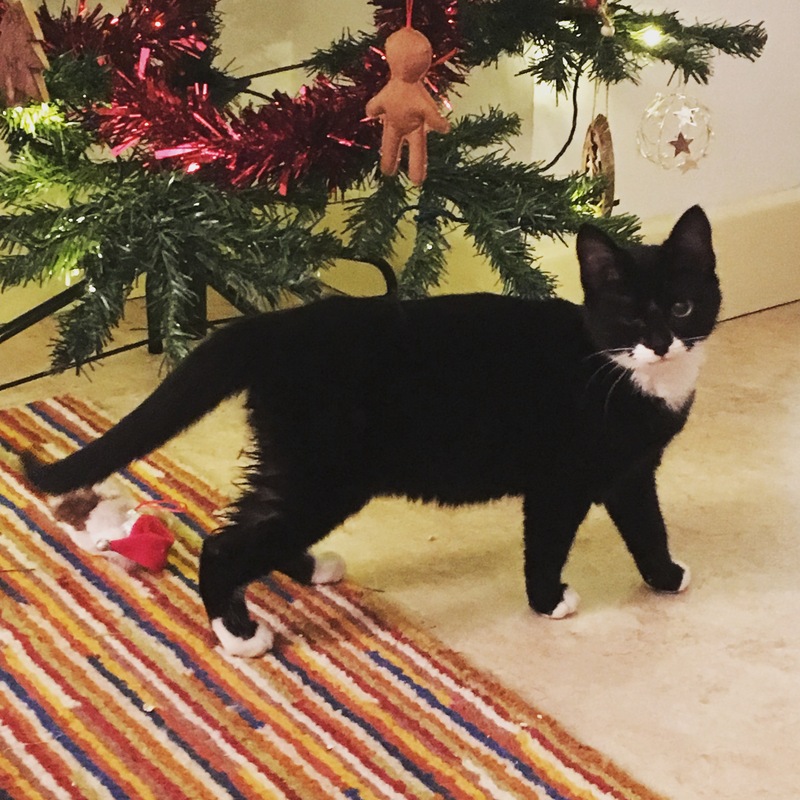 Little Dasher came to us just before Christmas. and enjoys a snuggle with Uncle Henderson and Aunty Honey. So we were keen to make sure he had a pal to go to a new home with, and set about finding another youngster who needed to come into rescue. Despite there being dozens of cats needing rescue space it’s been tricky finding a single older kit to pair him up with. 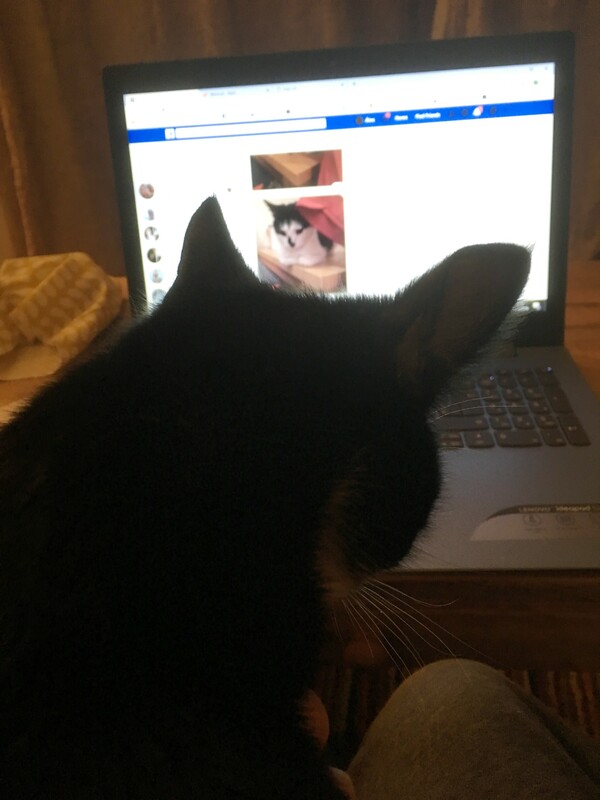 We spent a lot of time online looking for a friend. There were several disappointments along the way. However finally, this week a rescue friend trapped a kit who had been living in a garden for a few months, and we drove up one night after work to collect her. She went into a large covered dog crate to start with … just whilst we dealt with the fleas and she had time to settle. Rufus and Dasher were very curious. The next day Uncle Henderson became concerned that she was still in the crate, not least because his favoured litter tray is usually in there. So she came out to play. Dasher ran away! To be fair, she’s biggerer than he is. Rufus was happy to play with her though …. a little too happy. Although Ru (and Dasher!) 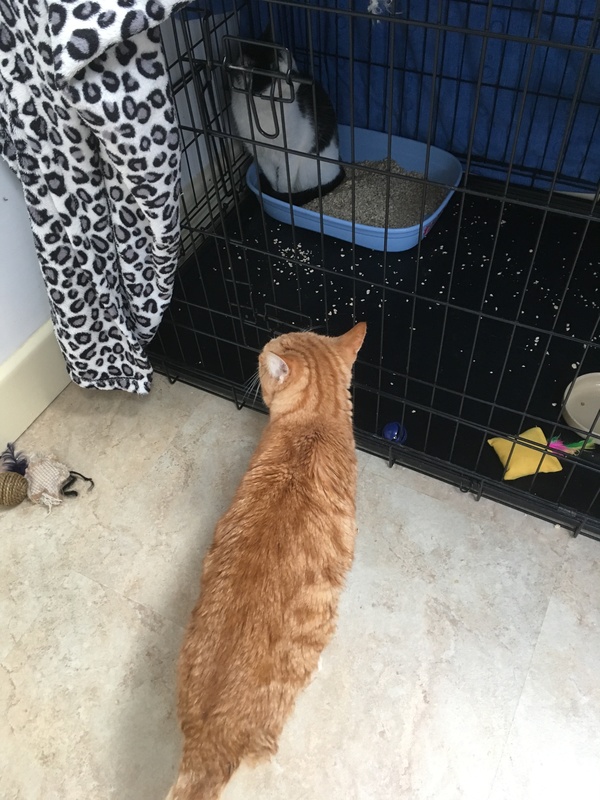 has been neutered, Dexi hasn’t yet (booked in later this week) … and Ru could smell some things he couldn’t quite make sense of but was very interested in. We had to have a talk to Ru about purrsonal space and boundaries. Dasher is interested but still wary. 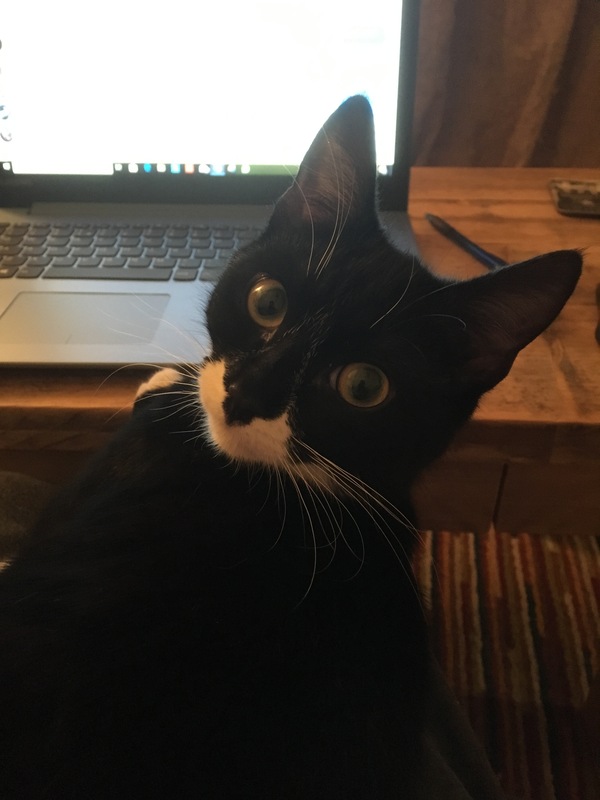 Here’s Dexi standing on the lap top a couple of minutes ago whilst I write this blog … with Dasher watching coyly from the sidelines.